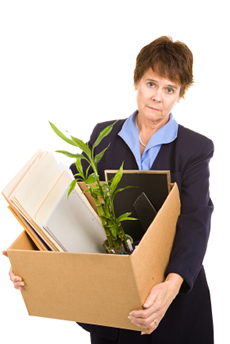 Respectfully support the needs of departing employees while maintaining the morale of the remaining workforce. One of the most difficult decisions an employer must make is letting employees go. There are many reasons to separate employees from the organization. Some of these include poor performance, unresolvable differences, declining revenues and organizational restructuring. It is an unavoidable dilemma and one that requires careful consideration and planning. At RMS Consulting, we help employers develop a dismissal strategy, provide on-site individual or group debriefing and design individual or group outplacement packages to assist dismissed employees in their job search efforts. To obtain valuable feedback from departing employees, we also assist employers in the design and implementation of an effective exit interviewing program. We understand that an effective outplacement program generates valuable feedback, reduces the emotional impact of necessary dismissals on the morale of the remaining workforce and presents the employer as a compassionate and responsible corporate citizen. With the help of RMS Consulting you can plan a respectful and dignified Outplacement program that will limit the costs of separation, minimize the risk of potential litigation and preserve your organization’s reputation and workforce morale. For more information on our Outplacement programs, call RMS Consulting at 309.681.5652. Copyright 2019 Resource Management Services, Inc.
Site Designed and Hosted by Stellar Systems, Inc.